I finally got my hands in the OPI Liquid Sands and I couldn't wait to try them out. 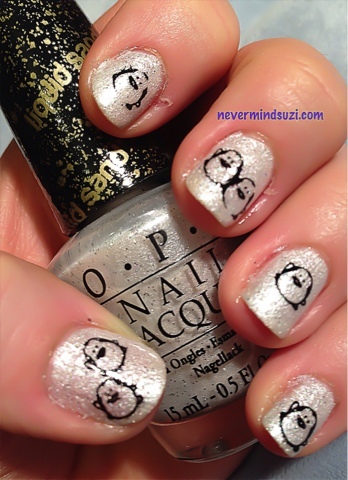 Here is 3 coats of solitaire, a frosty white with silver glitters throughout. 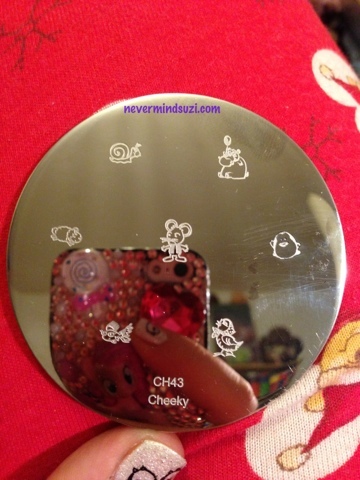 What's even better is I received my new cheeky plates the same day and when I saw this little fellow I knew what I had to do. What do you think? 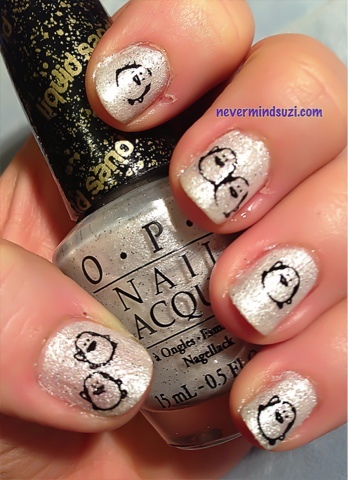 My little penguin dudes in a snowy backdrop of OPI Solitaire. Awwww love the ickle pingwins!! !